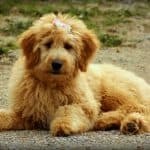 You are here: Home / Training / Are golden retrievers easy to train? 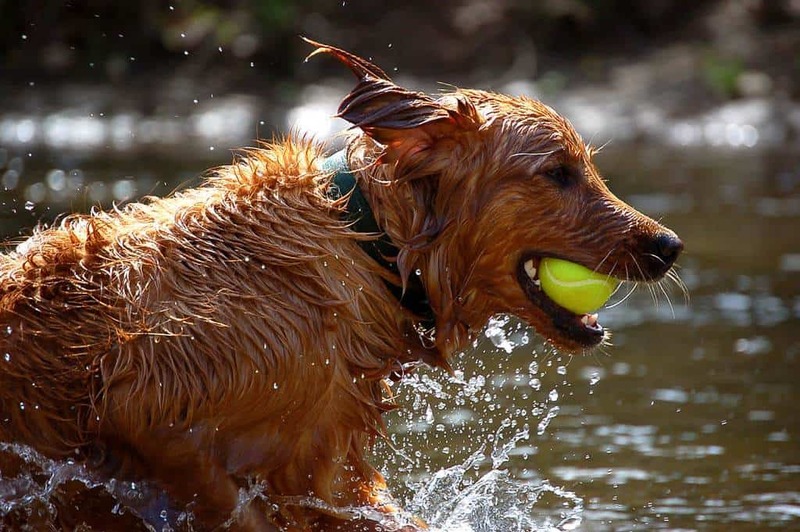 Golden retrievers are beautiful, water-loving breeds that were bred originally to help elite hunters when they hunt waterfowls. The breed makes a perfect family companion and has been excellent during competitive obedience tests and field trials. This breed is also well known for being a great guide to special needs individuals such as those with hearing and sight issues. The dog also serves as a search, rescue and detection dog. The dog breed is a popular one in the U.S since it is smart, loyal and helpful. They came from the Scottish Highlands and were bred to be easy to train as well as eager to please. So if you plan to own a golden retriever, you will be delighted to learn that these cute dogs are easy to train. This article will show you why and what you should expect during training. Golden retrievers are delightful creatures with an easygoing personality. They are a dream to train. These dogs love to please the people around them. They always want to do all their owners want in exchange for some praise and treats. This quality makes them ideal for inexperienced dog owners who are worried about their trainability. While it is true that golden retrievers are easy to train, you must be ready to be gentle and patient so that they can respond to you. The dogs are naturally gentle and may not respond appropriately if they are being trained in a harsh or cruel tone. 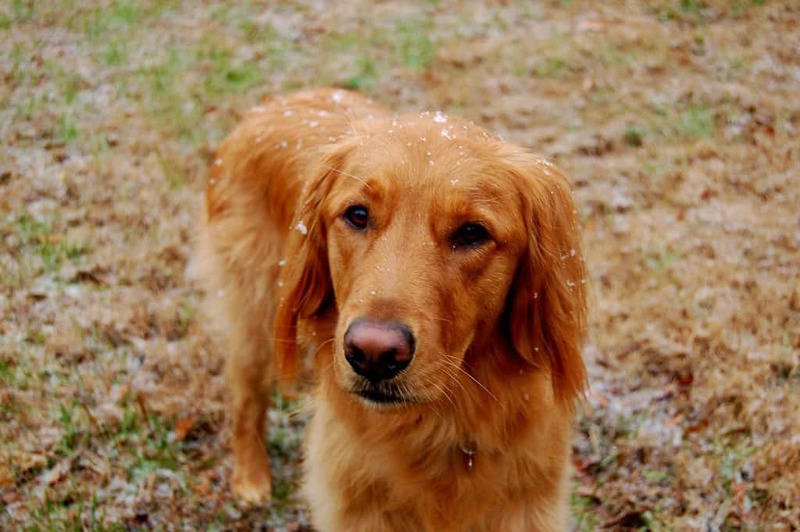 What can you teach your golden retriever? 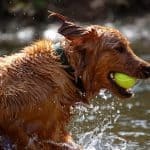 When should you start training your golden retriever? Is 8 weeks too young to start training? The first 3 AKC obedience champions are golden retrievers. This goes to show how obedient the breed is. Golden retrievers also came 4th in Stanley Coren’s Intelligence of Dogs. They were tagged the brightest dogs by obedience-command trainability. You can teach your golden retriever a lot of things. The most important ones are the basic obedience commands, leash training and housebreaking. Other fun skills can be taught as well depending on what you want your dog to know. You can teach them fun tricks such as shaking and speaking. While training your dog, make sure you teach the dog not to beg or jump when you return home after a long day. You will find that they are easy to train. Most agencies use them as professional or service dogs. Don’t forget to be loving when you train your pooch. Reward the dog with a lot of treats, smiles, and love if you want to master him. In no time, you will have a well-behaved and well-trained golden retriever. When you start training your golden retriever, teach him how to use a leash first before any other thing. This is because most dogs have trouble getting the hang of the leash. This training cannot be overlooked because they will remove their leashes when you put them on. This will mean that you can’t take them out to some parks or beaches where leashes are compulsory. The ideal time to start training any dog is when they are puppies. It also depends on the kind of environment your dog will be staying in as well as your personal preferences and the kind of training you want to consider. Some people recommend starting training when the dog is 6 or maybe 7 months old. Other people recommend starting earlier when the dog is barely 8 weeks or when they come home with you. 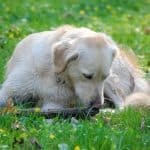 Which is the best time to start training your golden retriever? You should not have to wait for 6 months to start training your pet. The idea came from a group of trainers who felt it was necessary to allow puppies to play and grow before any formal training. This idea is understandable because dog training was considered harsh and puppies had a difficult time. The process was physical an involved the use of physical punishments, corrections, and aversives. The trainers came to agree that the physical force used with the puppies was rather cruel and training should be postponed. At least until the puppy was 6 months old. However, such training has become obsolete. There are lots of gentle, reward-based training strategies that can be used. Aversives and physical corrections are not included in this training method. So you no longer have to wait until your pup is over 6 months to start training him. When you train your puppy, you will be spending lots of time with them. They will watch and learn from you. They learn how you act, your gestures and motions, what they can do, where they can play, what to play with as well as what to be afraid of. At 8 weeks old, your puppy doesn’t know anything about life. He learns everything from looking at you every day. So you are inadvertently training your puppy without even knowing it. It is safer to add basic obedience training or teach him to do tricks. It is easier to stop bad habits from forming and teach the puppy to stay away from trouble if you control them. This control can only be achieved through teaching the basic commands. The ideal age to start training your pup is when you get them. Preferably at 8 weeks old. Within their first few years, puppies learn things and skills, so that is the best time to start training them. If you intend to take your pup out with you, the pup is expected to be well trained. You should have proper control over the golden retriever puppy when your outside. You need to train your pup to know and follow instructions when necessary. All the time, your puppy develops different behaviors. You should influence good behavior and prevent bad behavior. It is far easier to prevent bad habits than to cure it. So you can get a good training routine and make it a habit as soon as possible for both of you. This will make it easier to follow through. Training time is quality time that helps you bond with your golden retriever and strengthens your relationship. Try modern training strategies such as shaping and clicker training. These methods produce positive results and do not stress your puppy.